yingli solar Archives - Solar Love! Home Tags Posts tagged with "yingli solar"
One of the world’s leading solar panel manufacturers, Yingli Solar, recently unveiled its latest product, a 1500 volt utility-scale solar panel. The panel has been specifically designed for use in utility-scale PV power plants, and improves upon system performance and reduces balance-of-system costs. The panel will be compatible with most tracking and mounting systems, and is among the first 1500 V solar panels to include an aluminium frame, as well as having an extra layer of protective coating on the solar cell which ensures high resistance to Potential Induced Degradation. Yingli Solar displayed the new 1500 Volt utility-scale solar panel at the Intersolar North America trade show in San Francisco, California, from July 14th through July 16th, 2015. 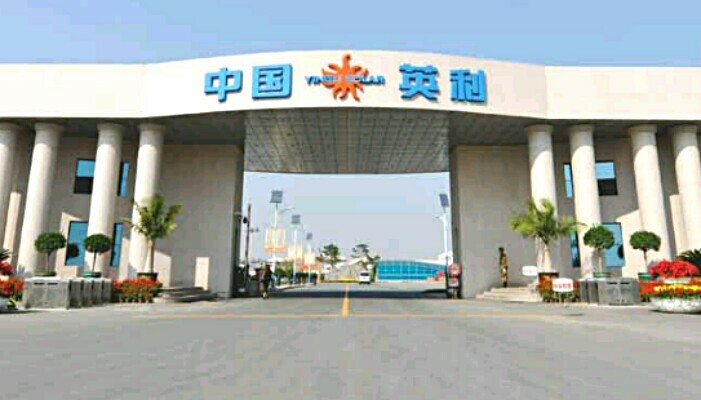 Generating revenue of RMB 12,927.4 million, or US$ 2,083.5 million, Chinese solar giant Yingli Green Energy recorded a gross profit of 53.4% for 2014. PV module shipments rose 17% in 2014, as the world’s leading supplier shipped a whopping 3.3 GW of PV modules to solar markets around the globe. • Total net revenues were RMB 12,927.4 million (US$ 2,083.5 million). • Total PV module shipments (including shipments for PV systems) were 3,361.3 MW. • Gross profit was RMB 2,238.2 million (US$ 360.7 million), representing a gross margin of 17.3 %. • Operating loss was RMB 215.2 million (US$ 34.7 million), representing negative 1.7% of operating margin. • On an adjusted non-GAAP basis, earnings before interest, tax expenses, depreciation and amortization (EBITDA) were RMB 1,114.4 million (US$ 246.1 million).